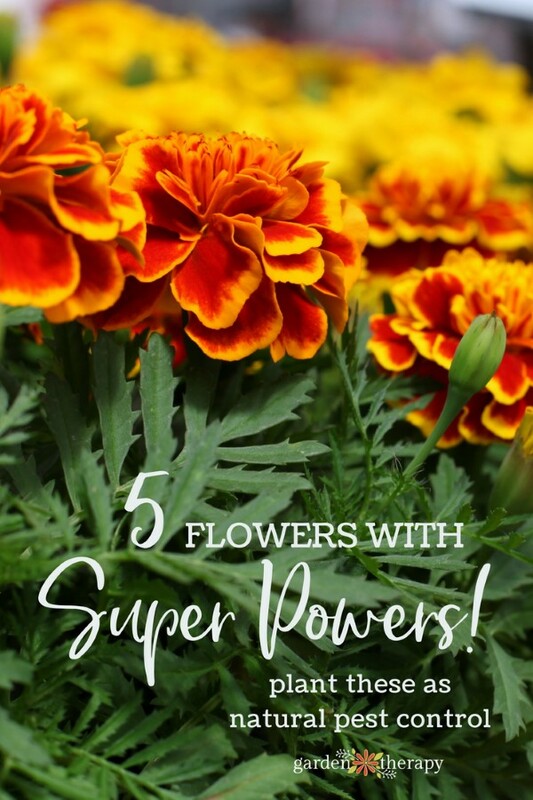 Did you know that flowers have super powers? Some stop nematodes in their tracks. Others attract aphids away from your veggies. And some are just so darn powerful that they will repel every tick, cockroach, and bedbug in sight! Pretty and powerful? Now that’s the kind of organic gardening I can get behind! 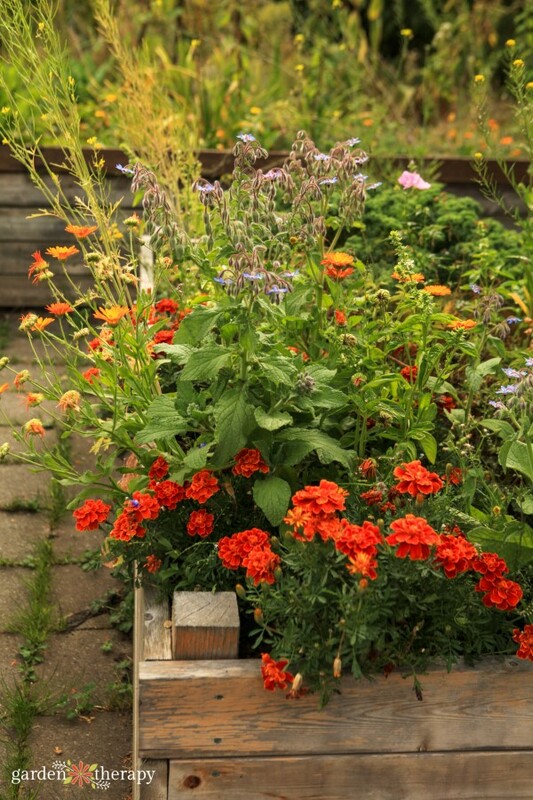 These super flowers deter pests in the garden, and add their own special brand of style too. Adding flowers to the veggie patch is both pretty and practical. You can add these five super flowers to the vegetable garden to send pests running. 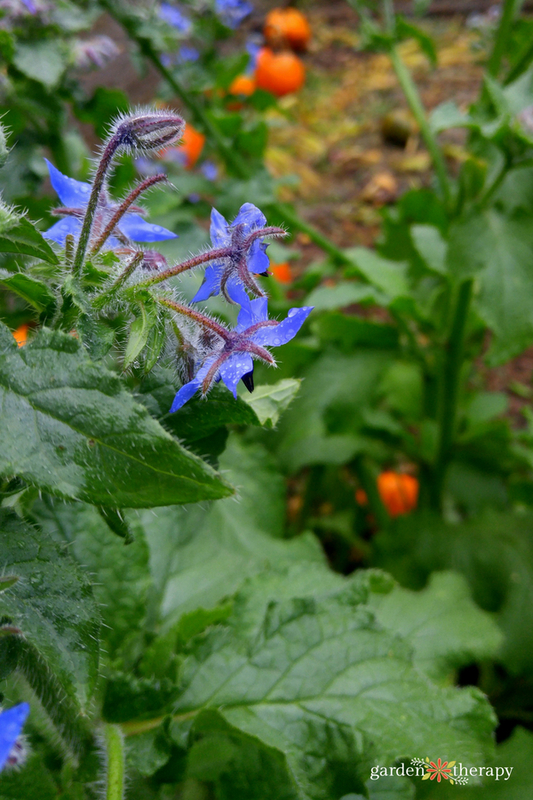 Plant borage near your tomatoes to deter tomato hornworms. In addition to preventing those pesky little fellows, borage makes a lovely ornamental with its delicate light blue and pink flowers. 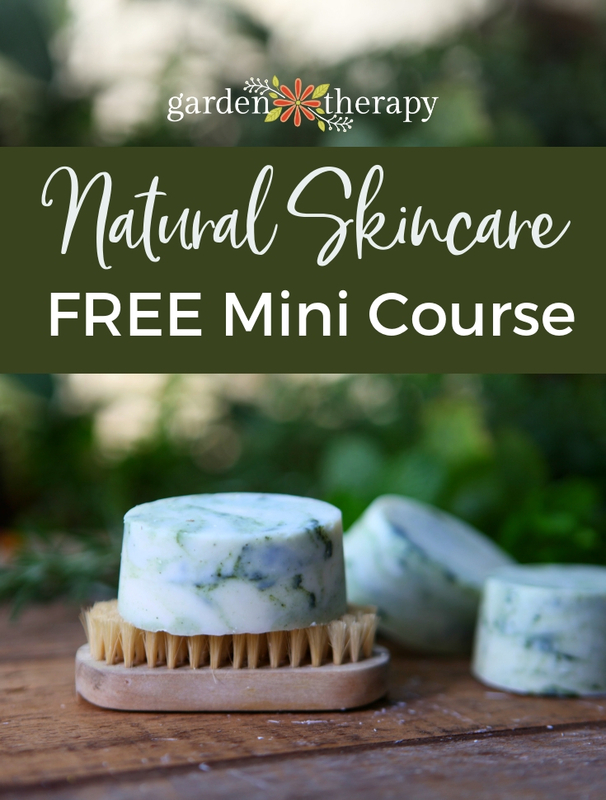 Bonus: borage is edible! The flowers taste like a mild, sweet cucumber and are a good addition to summer salads along with those pest-free tomatoes growing beside them. Aphids are attracted to nasturtiums. We know, we know, you thought this was supposed to be about deterring pests, not attracting them, but hear us out. Aphids are so attracted to nasturtiums that they prefer them over your more prized veggies, such as peas or beans. This means they will leave the vegetables alone and simply head to the nasturtiums planted nearby to feast. And all those aphids hanging around in one spot will in turn attract beneficial insects like ladybugs that will eat the aphids and benefit the garden in other ways too. 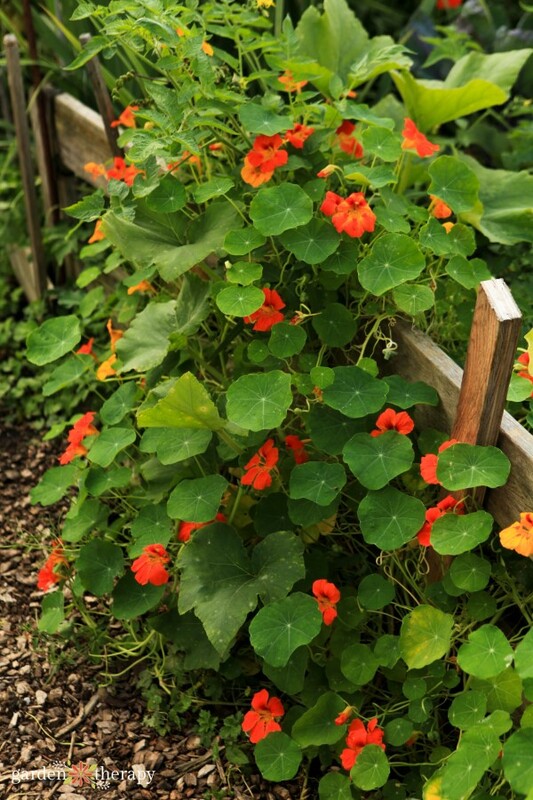 Nasturtiums also deter whiteflies, squash bugs, and potato bugs, so they are a great choice to add to any vegetable patch. 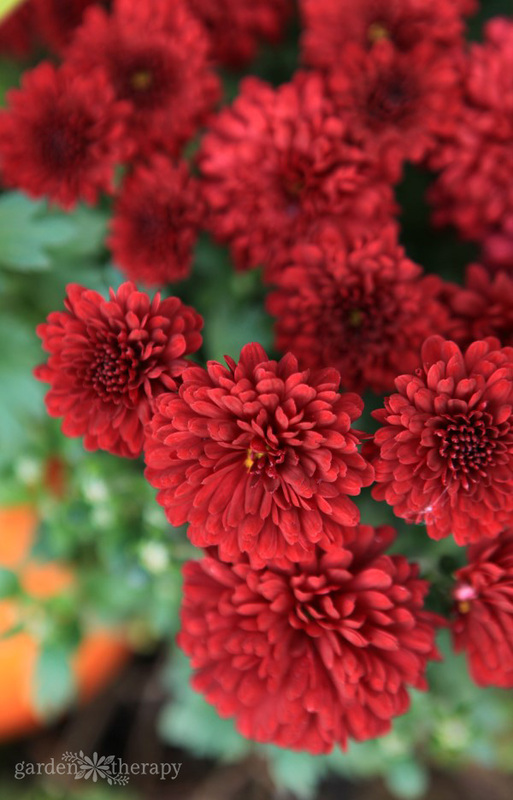 Chrysanthemums contain a natural insecticide called pyrethrum, which means they keep away silverfish, ants, cockroaches, bedbugs, fleas, lice, and even ticks. Talk about a powerhouse pest repellent! However, pyrethrum will also deter beneficial insects, so you may not want to plant too many mums around the garden if you are trying to encourage good bugs. Plant some marigolds next to your tomatoes to keep them healthy and happy. 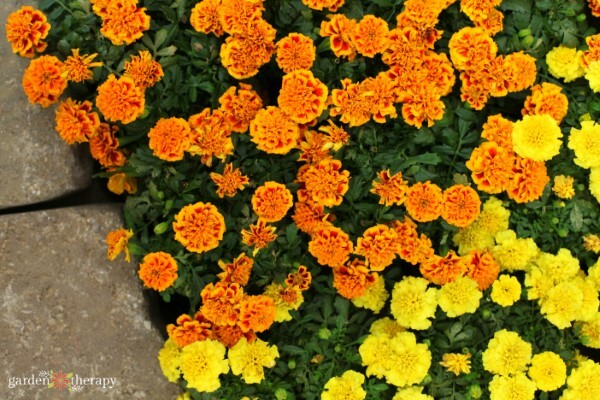 Marigolds contain a phototoxin called alpha-terthienyl which prevents nematodes (AKA roundworms) from munching on the roots of your precious tomato plants. 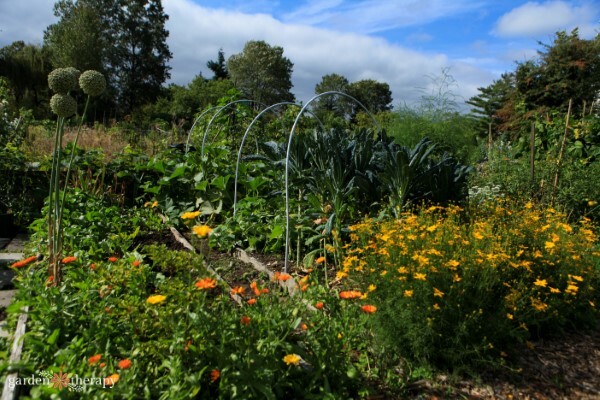 Marigolds also work wonders planted near Brussels sprouts, cabbage, broccoli, and cauliflower because they will prevent cabbage worms from joining the party. Petunias are gorgeous and come in every color of the rainbow. As if that weren’t enough, they also protect beans from most pests and work to prevent squash bugs, potato bugs, and are a good general pest deterrent that keeps most bug baddies at bay. 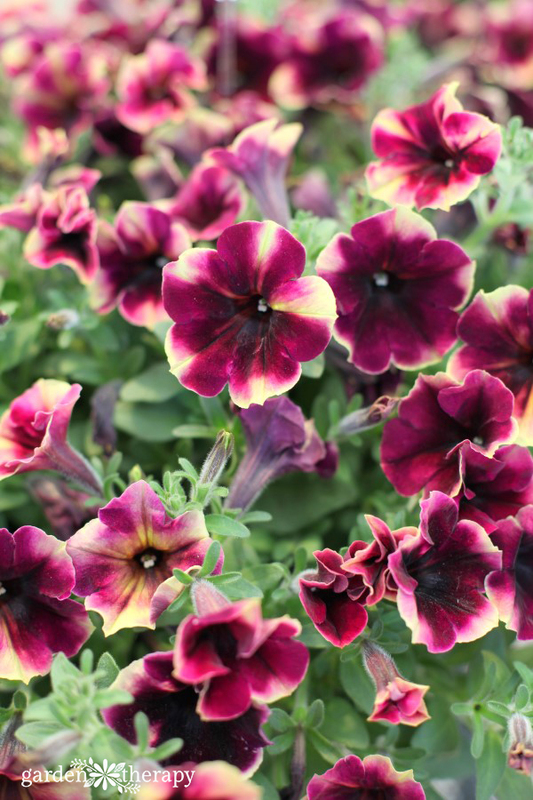 So go ahead, brighten up your vegetable garden and protect it at the same time with petunias in every bed. 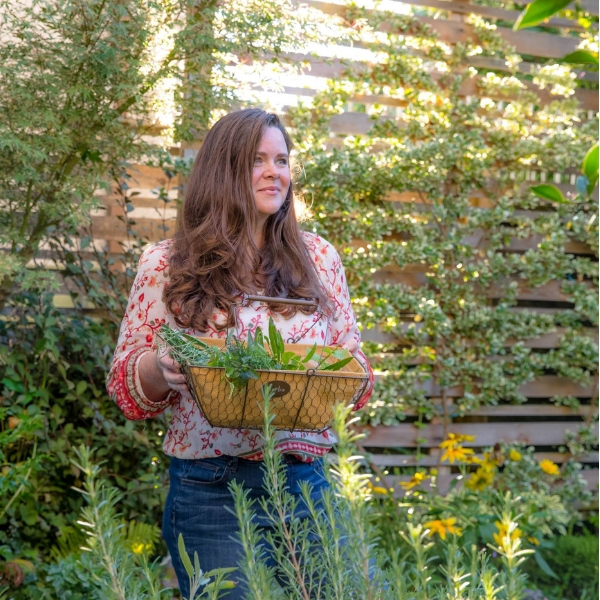 And while we are talking about natural pest control, take a look at this post on organic ways of getting rid of pests in the garden. This is a great round up (pun intended, lol) of pest deterrents! I will be adopting the use of the petunias near anything edible to have a multipurpose use of protecting from soil erosion, pest deterrent and pretty! Nasturtiums were so perfect in addition to my first garden’s cucumbers last year. Thank you! Lisa, haha! I love puns :) …but not Round up :( Naturtiums + cucumbers are a beautiful combo! This was a good article for me on these flowers. And I love the idea of a secret place and without bugs and beautiful flowers sounds like a good getaway. Thanks for all your advice I love to get your newsletter and it has really helped my yard. Great article! Honestly learn new things everyday. Thanks for sharing. I wish you could come up with a list of plants that deer hate. I am over run with them. they destroyed my tomatoes by eating the tips of the vines. we are not allowed to shoot them in the spring & summer when they are a pest. when hunting season opens they vanish into thin air or it seems that way.